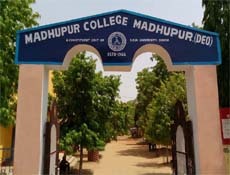 MADHUPUR COLLEGE, MADHUPUR was established in 1966 with a strong and bright vision of then – Social workers, Politicans, administrators and Educationist like Late Yasin Ansari, Late Ajit kr. Banerjee, Late Moti Lal Dalmiya, Late Dwarika Prasad Gutgutia, Late Ram Krishna Choudhary, Late Prahlad Modi who with their strong zeal and determination made an resolution to begin this College at than existing Edward Gorge High School now known as Shyama Prasad Mukherjee High school with their efforts and collection of tiny contribution from each and every citizen of Madhupur town, made it possible to have its own campus, Purchased from the JHARIA MAHARAJA. In acquisition and upliftment of College Campus, the great names like Late K. D. Singh, then SDO, the Railway Magistrate Kesav Prasad, the B.D.O., Sri Rama Nand Singh, The then C.O., Sri Kamaldeo Prasad Sharma, The then officer-in-charge, Late Moojee Lala Singh could never be forgotten. The Contribution of the devoted personalities like Sri Bhola Saraf, Sri Shiv Pd. Gupta, Late Jwala Pd. Singh, then Secretary of College governing body, Sri Chandra Shekhar Sah, Sri Sita Ram Sah, Sri Basudev Gutgutia, Sri Rafiq Sabnam is immense that could not be explained in words. Sri Krishna Nand Jha, The then Local M.L.A. and also the cabinet minister of Bihar is the last chairman of the governing body of College. Ex-MP and Ex-Prof.-In-Charge, Prof. S. Ansari, Ex M. P. & Former syndicate member, Sri Furkan Ansari, Ex- MLA Sri Udai Sankar Singh (Chunna Jee) Present M.P. Sri N. K. Dubey, Ex MLA & Cabinet Minister Hazi Hussain Ansari, Present MLA & Cabinet Minister, Sri Raj Paliwar have immensely contributed to the development of infra-structure like building, laboratory, Boundary walls etc. of college and are always helpful in solving the college problems even now. The College campus is very large and beautiful having it office in an old building built before independence which is an example of Bengali-European architecture with slatted windows, cornices, open rooftops and red floors. 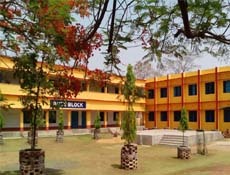 Campus area in sq. mts.- 14002.12Sq. mtr and built up area is 2668.04 Sq. mtr, with a lush green ground and with trees planted beside the passages connecting the buildings. The college cafeteria is also functional and it's open till 4:00 PM, it provides good and hygienic food at a very good price. The present Governor of Jharkhand , Smt Droupadi Murmu, is the first woman to hold this office. She took the charge of Governor on May 18, 2015. She has had an impressive political and social career spanning almost two decades. Prior to that ,she had a fulfilling service career. Daughter of Late Biranchi Narayan Tudu,Smt Murmu was married to Late Shyam Charan Murmu. She has one daughter. A two –time member of the Legislative Assembly , Murmu is a former minister from Odisha.Smt Murmu’s political career started in 1997. Education is the most powerful weapon to remove the darkness of ignorance from society and to change this poverty ridden area of Madhupur to inculcate the brain of our young student to eliminate poverty, unemployment, spread prosperity and happiness in the society with the power of knowledge. Hope for better future of all the Students, Faculty members & Non-teaching Staff of this college. 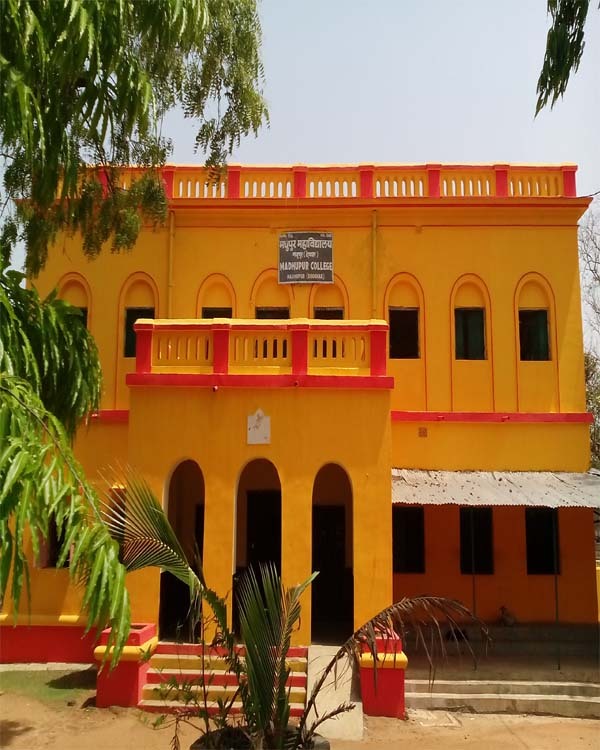 The University is a tribute to the two legendary Santhal freedom fighters, Sido Murmu and Kanhu Murmu, who led the Santhal rebellion popularly known as Santhal Hul against the exploitation of the British colonial rule in 1855.